Exposure doesn't pay the bills. Freelancers need their 💰💰💰, too. 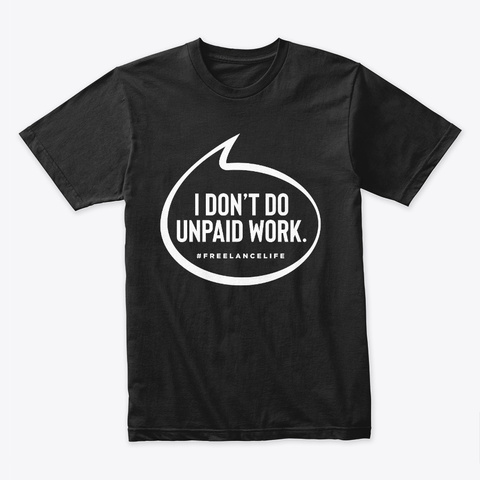 Show the world that freelancing ain't free with this unique design. Bound to turn heads, you might attract a few new clients. The fabric is soft and lightweight, made from 100% combed ring-spun cotton. The cut is a regular fit and designed to flow with your shape. Grab an extra tee for your freelance partner!